One night, Callum is driven into the woods by instinct, an instinct to protect… what, he does not know. Until he, in the form of wolf, meets a young, human child who he is instantly drawn to in a fierce way he doesn’t quite understand. But in the end, she protects him. Then he finds this human child is his destined mate. Sonia Arlington has lived a lonely life. She has certain abilities that make her strange and she has a rare disease that, if untreated, could kill her. Her mother and father are assassinated but before, her father makes her vow that she will never let others discover her abilities. This forces Sonia to stay distant from others, no family, no close friends and always guarding against exposure. Then the intelligence leaks that Sonia is Callum’s human mate. He is now King of the Werewolves and therefore she becomes targeted by the wolves who have aligned with other immortals to enslave the human race. Callum has war on his hands and is forced to claim his mate and quickly integrate Sonia into a world that is strange and frightening to her. As Sonia attempts to adjust, not entirely successfully, Callum attempts to cope with the knowledge that his mate is mortal. He will have her beauty and gentleness only the length of a mortal life and as werewolves only have one mate their entire lives, their union for him is unbearably bitter as well as unbelievably sweet. Then he finds that due to her illness, her human life will be even shorter and he is forced to endure the increased bitter while doing everything he can to make Sonia’s short life incredibly sweet. 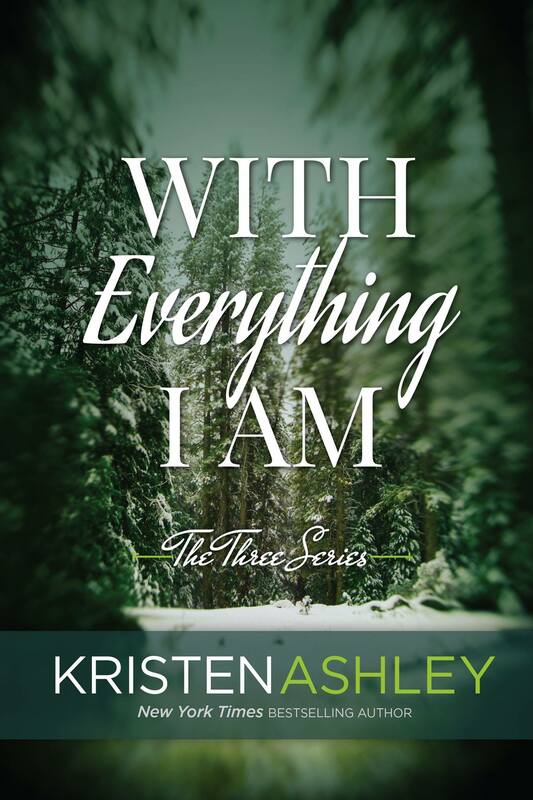 I want to both magically inhale every Kristen Ashley book that exists and also savor every delectable moment. I feel immeasurably happy reading her novels and this series… The Three series is so explosively addictive, rife with intriguing juxtapositions that make grip me wholly: control and submission, power and vulnerability, desire and love, destiny and reality, misunderstanding and acceptance. There’s something compelling about these dueling emotions and concepts, and in these first two books, we see couples try to understand and surrender to a fate dictated long ago. A fate that had been prophesied. 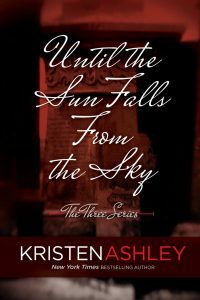 In book 1, Until the Sun Falls from the Sky, Lucien and Leah, a vampire and a human mortal, fall in love defying rules and traditions. In this second installment, it’s a wolf and a human, Callum and Sonia, who must claim their future… however uncertain and difficult that future might be. For as long as that future extends. Sonia Arlington has not had an easy life. Her parents died when she was a child, leaving her alone to be taken care of by a guardian who was caring, but not affectionate. In addition, she endures an extremely rare disorder that requires daily injections that set her blood ablaze. Alone, in a fog, and with a gaping hole in her heart, she’s lived her thirty-seven years. Sonia also has special abilities, heightened senses, that she cannot reveal to anyone. Her father required her to keep silent. And despite her solitude, her dreams are filled with visions of a wolf—her wolf—that she met as a child the night her parents were killed. She had not forgotten him. And one night, when attacked in her own home, the wolf of her dreams came alive, saved her. Her wolf is none other than Callum, King of the Werewolves. A gorgeous, muscled, towering man that commands attention. Demands respect. Takes what’s his. And in an unexpected turn of destiny, Callum informs Leah, that she is his mate, his queen, for their eternity. No choice. No discussion. No softness. No understanding. And in one fell swoop, her life as she knew it is completely different. Gone. Callum wasn’t used to discussion. He certainly had never courted a woman. Never had to work to get a woman in his bed. It wasn’t the way of his people, nor was it his way. He’d never spent much time with humans, but he knew that Sonia was his mate and he needed to claim her… fast. His world was in peril, war upon them, and they were all in danger if he didn’t get to the business of winning that war. Problem was, Sonia was not happy with the situation at hand. The chemistry between them was scorching, no denying that, but their days were charged with anger. One second they were fighting, the next they were playing, hard, between the sheets. It was hot and hotter with these two. Callum is as alpha as you can imagine… rough around the edges, so domineering, so demanding, that he doesn’t realize the turmoil of emotions that Sonia struggles through. Sonia, on the other hand, battles with losing her sense of self, her life, even though she can’t seem to deny Callum’s touch, nor his allure. There is definitely a connection, but when feelings get ignored and misunderstandings push them apart, they have to wonder if fate indeed got it right. As Callum and Sonia spend more time together, and truly try to understand each other, they fall in love earnestly. The wolf culture was vastly different than what Sonia was accustomed to, and the human world was something that Callum simply did not consider. Whereas they both had to surrender to their destinies, they also had to accept each other as they were. And once they did, once the fierceness and intensity of Callum melded with Sonia’s own fire and sensibility, it was a beautiful thing to witness. But since this is a KA book we’re talking about, danger continues to lurk and secrets foretell more pain than is bearable. 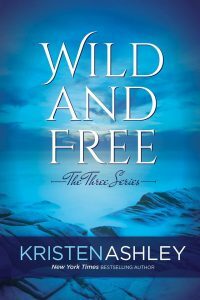 Ashley takes us on quite a ride the last quarter of the book, as my heart pounded furiously through the events that culminated in one surprising happily ever after. And in true KA fashion, we also see Lucien and Leah again! I think The Three series so far has some really fantastic common threads and messages, which first and foremost seem to be about acceptance. Vampire, wolves, humans and a whole cast of immortals are thrust together in ways that duel organically, but that in an unexpected twist of fate, must live together in harmony with understanding, acceptance, and for these fated, prophesied Three, love. I knew you were going to knock the review out of the ball park. I’m so happy you enjoyed this book, I have read it more than three times. I love Callum and Sonia’s story so much. I cried so hard I had a head ache. It’s a beautiful story and beautifully written. KA is one of my favorite authors!!! Can’t wait for Abel and Delilah’s story.